The African nation of Botswana truly is a traveler’s haven. With its abundance of wildlife, diverse ecosystems and vibrant culture, this country has no shortage of experiences to discover. Situated in Northern Botswana is the ever changing, majestic Okavango Delta. An oasis in an otherwise harsh and dry landscape, the delta is home to some of the world’s most endangered species of large mammals. 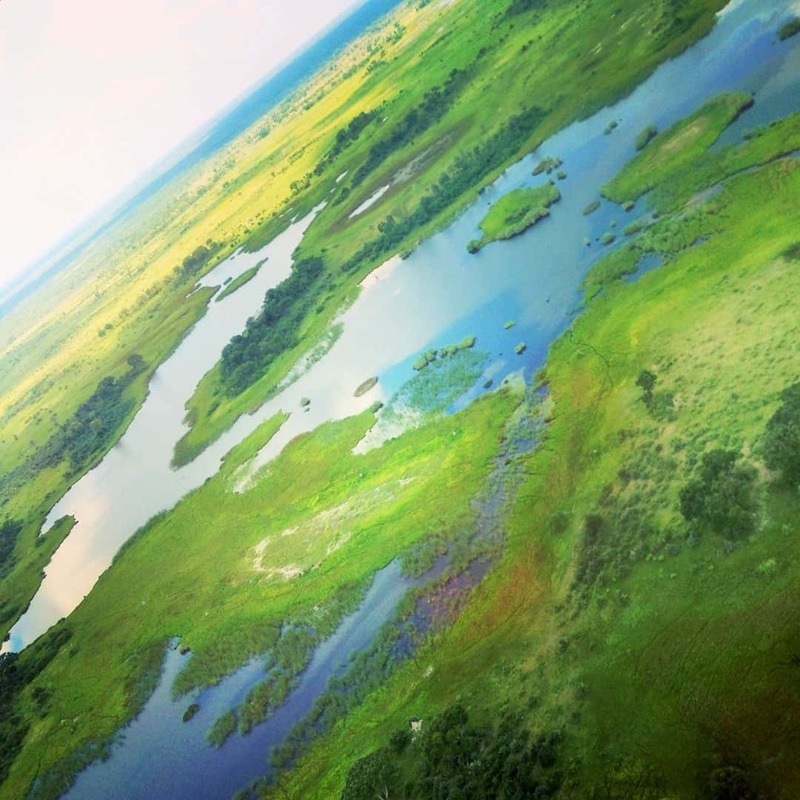 Botswana’s Okavango Delta is approximately 16’000 square kilometres of unspoiled wilderness. Because of its vast size and difficult access much of the delta remains in pristine condition. It is unique in that it pulsates depending on the seasonal flood waters from Angola. 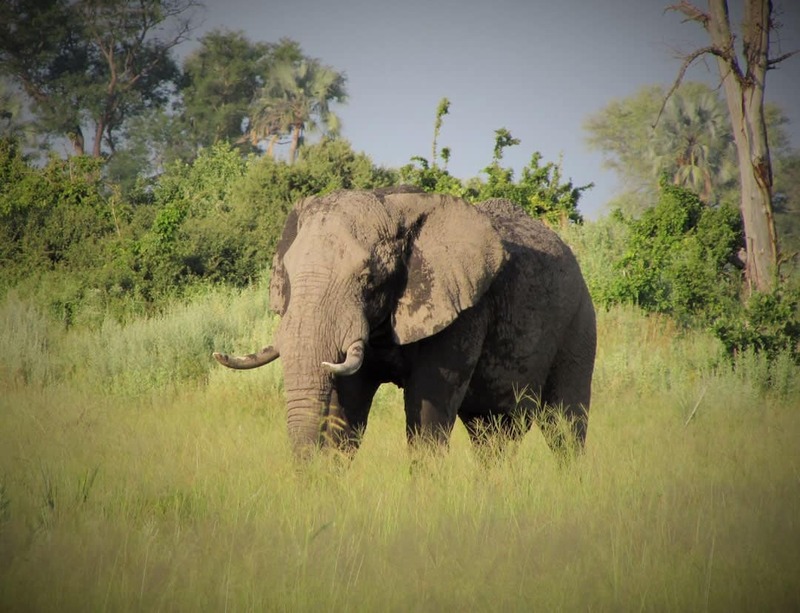 Declared a UNESCO World Heritage Site in 2014, the Okavango Delta is protected by both the Moremi Game Reserve to the east and numerous wildlife organisations within the Ngamiland region. 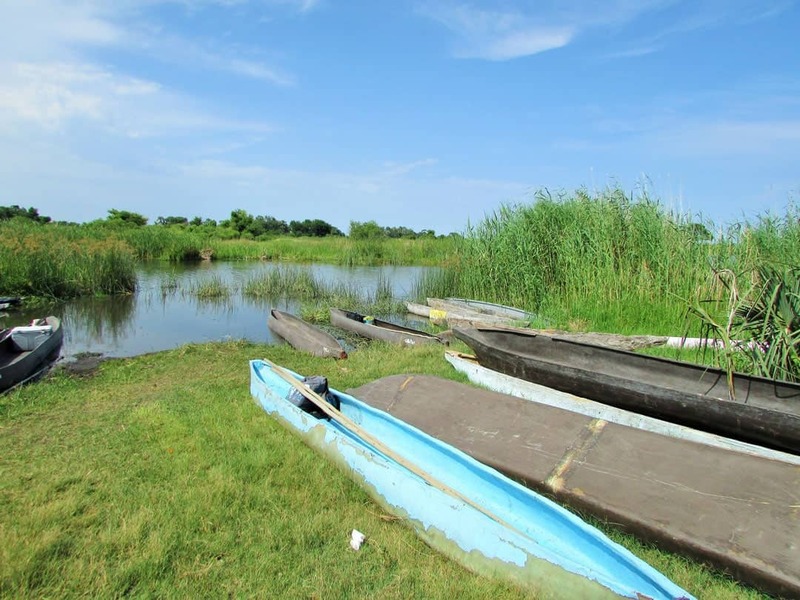 Getting access to the Okavango Delta is relatively easy through town of Maun. The third largest town in the country, it serves as a gateway to both the Moremi Game Reserve and the Okavango Delta. In 1996, Maun International Airport officially opened its doors; which now provides direct flights in and out of bigger city hubs such as Johannesburg. Even though Maun may be quickly developing it has still has a rural village vibe where locals gather to sell their cattle and produce. There is a plethora of amenities as well as a wide range of hotels and lodges for travellers to choose from. Activities and tours out of Maun include game drives, mokoro safaris, walking safaris, birdwatching and cultural tours. There are various tours and excursions in which you can experience the delta. The 3 incredible ways that I was able to do this was by air water and land. 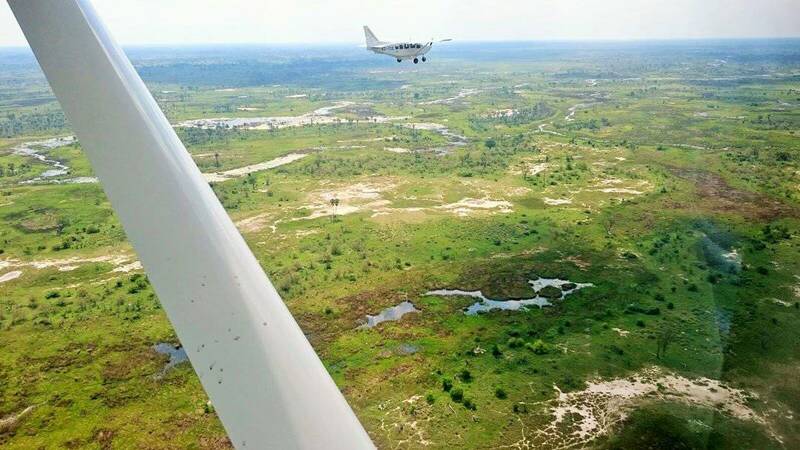 There are a number of chartered operators that will take you high above the delta for the most stunning bird’s eye views. These small, single engine planes fly out of Maun and give you approximately 45 minutes to be dazzled by the spectacle below. Herds of elephants and hippos are not an uncommon sight, but what stands out in my memory is the astonishing emerald green hues from the winding delta below. My only word of warning is that if you suffer from motion sickness this may not be the most ideal way of experiencing the delta. Let’s just say I spent the second half of our flight looking into a paper bag! Choosing a flight carrier is quite simple as all operators have competitive and comparable rates at about $120US. Helicopter services are less accessible but also available. 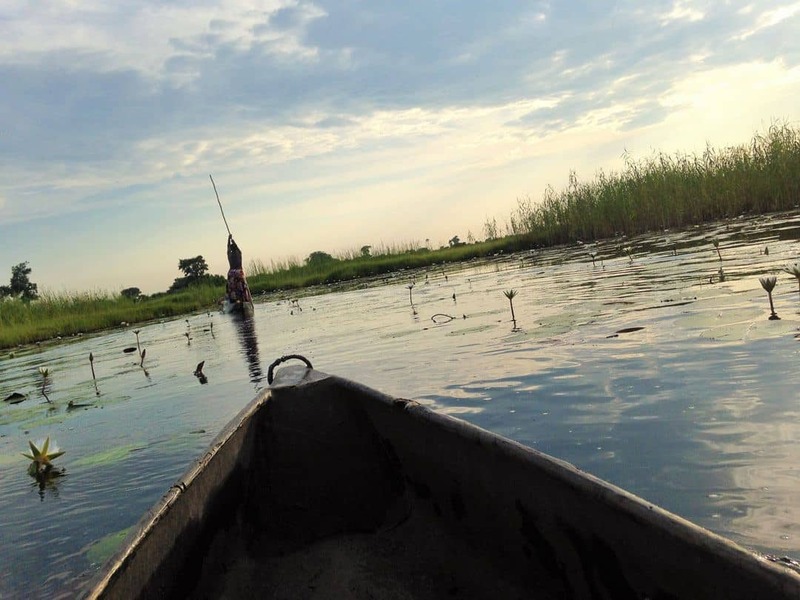 Another way to experience the delta is to take a traditional mokoro boat through the delta’s waters. A mokoro resembles a dug out tree (like a canoe); sitting two to a mokoro each pair will have their personal poler who stands in the back of the boat steering and guiding it with a long stick. It is similar to the canals in Venice, but instead of winding through a city, you will make your way through a labyrinth of palm-fringed islands. Once again, there are several tour operators that provide various excursions out of Maun. 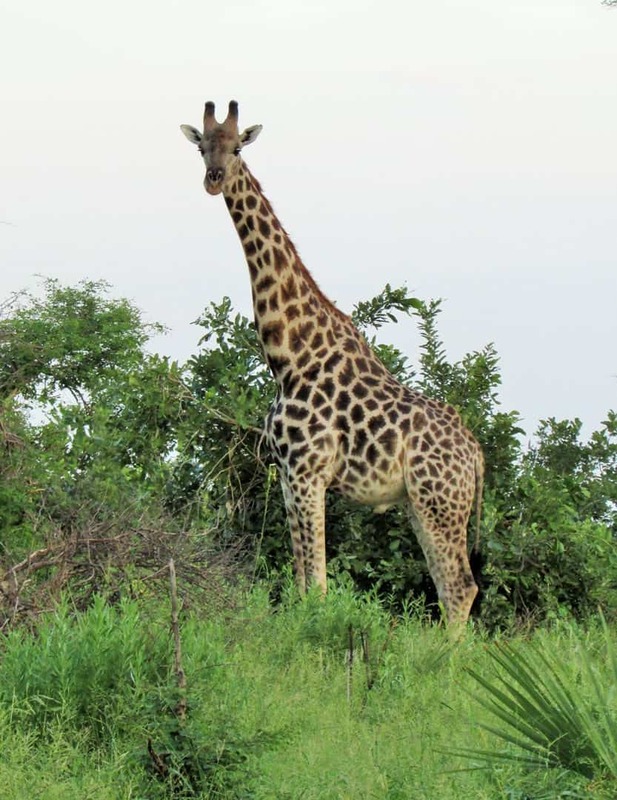 You can spend as little as a half day on a mokoro safari, or if you are more adventurous at heart I would definitely recommend an overnight camping excursion. Even though the delta requires you to rough it with no showers or running water, it truly is an experience like nothing else. Depending on the time of year and the water levels, the overnight delta excursion begins with either a speed boat or a 4×4 vehicle that takes you deep into the delta. Once at the dock you will be met by a local team who will take you by mokoro to camp. Winding through the delta stroke by stroke is utterly peaceful. Waterlilies and papyrus plants line the way, and croaking frogs greet you around every corner. 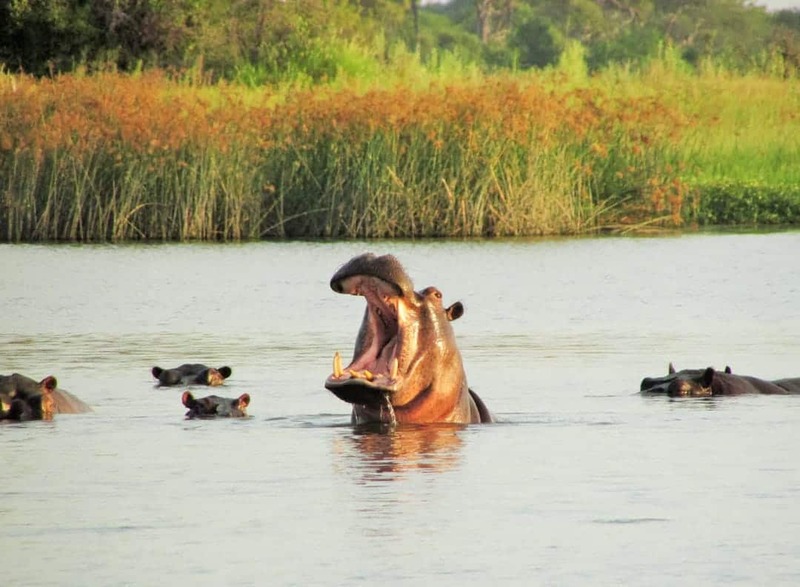 To make it even more spectacular it is not uncommon to see large groups of hippos spitting and grunting from the very waters that surround you! After setting up camp in the intense heat a group of us were definitely up for a swim in the delta. Some might call this insanity as the delta is also home to crocodile but the locals convinced us that they knew of a spot in the delta where the crocs would not gather. With a traveler’s adventurous spirit and possibly plain old stupidity we jumped in and played an intense game of volleyball among this unbelievable landscape. One of the options on the overnight excursion was an unforgettable game walk through the bush. We jokingly named this game walk the ‘Death March’ because the temperature was so blistering hot that day and we were out for hours. I don’t however regret a single second because what we saw was absolutely jaw dropping. 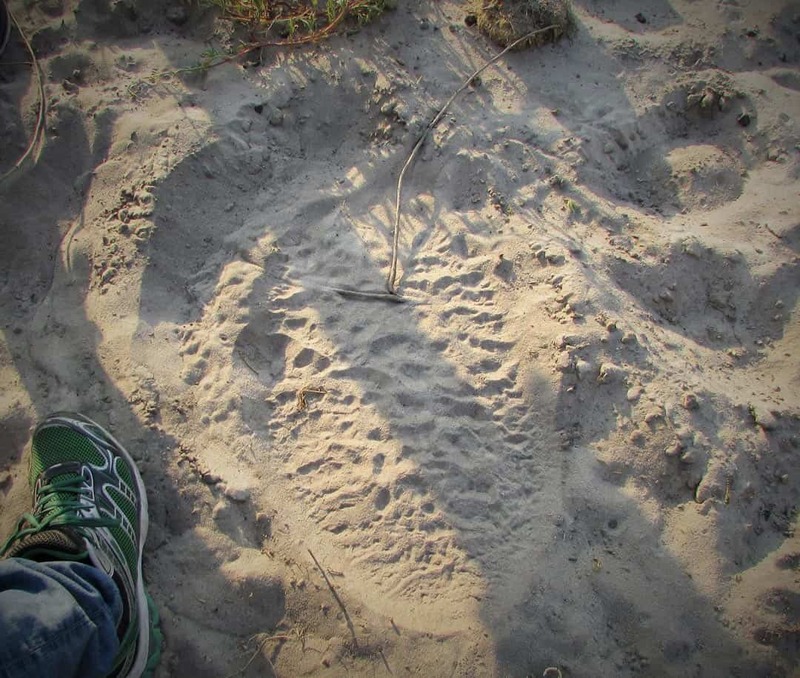 The Big Five are all residents of the Okavango Delta and our first encounter was just meters from our camp…fresh lion prints. Walking single file in silence in search of wildlife is absolutely exhilarating. Seeing all the incredible animals on foot gives you a whole different perspective of their size and strength. I will never forget looking up at a pack of giraffe that were merely meters away. My favourite encounter on our ‘Death March’ was when we reached a massive open space of water. As we came closer we could hear grunting and splashing, and right before our very eyes were at least 50 hippos. It was like they were performing on cue by yawning and showing off their massive mouths. This was any photographer’s paradise. Eventually they noticed us lurking about and in unison turned towards us. Slowly with their eyes and ears peeking out of the water they inched closer and closer towards us. Along with the setting sun, this was our cue to get back to camp. The evening didn’t end there as after dinner our local guides entertained us by performing and singing traditional songs. When night falls and the stars light the sky make sure to take notice of all the fire flies that flutter about. Thousands lit up the night sky which made for a perfect end to a magnificent adventure! 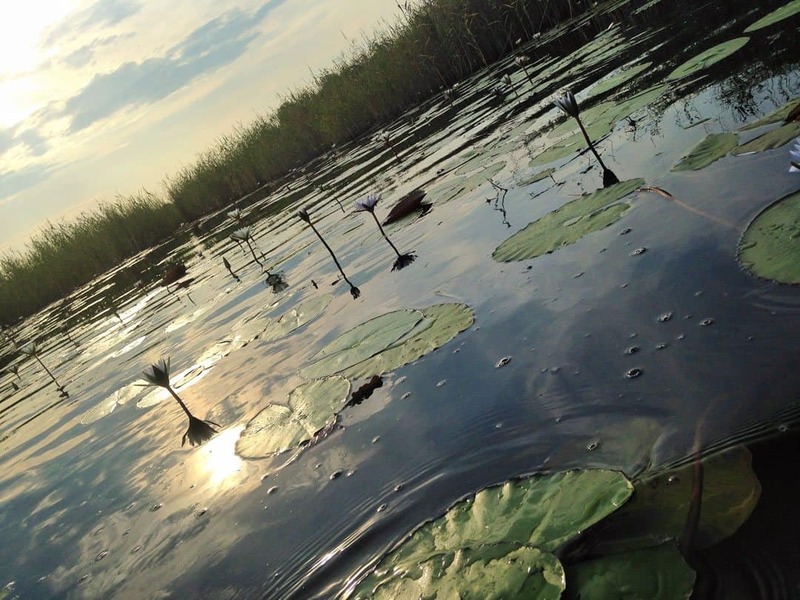 When Should You Go To The Okavango Delta? The beauty of visiting the Okavango Delta is that no matter what time of year you go, there will always be an abundance of wildlife. The months running from June to August are when the floodplains are at its peak. Game densities on the delta tend to rise and waterways on the mokoro are abundant. From December to March receding waters form a mosaic of emerald landscapes. Islands become more exposed and multiple antelope species and zebra from the woodlands make their way to land to have their young. The dryer conditions and lower floodplains make it easier to explore the land by foot. It is not very often that you find a location that is so full of wildlife and natural beauty. The Okavango Delta is definitely one of Botswana’s national treasures and I promise that once you visit this majestic land you too will have one more reason to say that Africa has stolen a piece of your heart! Hi there, my name is Heather and I am The Urban Gypsy.I caught the ‘travel bug’ many years ago when I was a competitive rhythmic gymnast and ever since I have not been able to quench the thirst for exploring more of the world. Even though I live a pretty regular life with a full-time job, I try to go on at least one overseas adventure per year. This means that I skimp, save and try to live the happiest life possible throughout the year so that I can experience my one true love…travel! The goal behind The Urban Gypsy is to inspire you to discover the world while using tourism as a catalyst for sustainable development and cross-cultural sharing. I believe that if we travel respectfully and mindfully we not only have the power to create positive change, but we as travelers in turn grow to be better more understanding human beings.